“Bitcoin price rises higher than gold” – this news was racing around the internet at the beginning of March, making everyone sit up and pay attention to the virtual currency that nearly disappeared from the radar several years ago. The first time Bitcoin crossed its phenomenal price threshold was on March 2, 2017. At the time, the digital currency was trading at $1,292.71, whereas gold was trading at $1,226.89. It seems that Bitcoin’s price has come down to earth recently, so today you can buy one Bitcoin for as little as $998; but nobody knows what to expect next. To be honest, being valued more highly than gold was an impressive accomplishment for Bitcoin, considering all the rises and falls experienced by the currency over the past few years. Rewind to late 2013: Bitcoin's value came close to $1,200 – but then it slumped dramatically to almost $600 shortly after its big rise. Its value briefly stabilized at $800 and then crashed again to $200, all in the course of 2014. After this fiasco, the currency was written off as nothing but a failed experiment. It’s still unclear to what we owe Bitcoin’s epic comeback – the interest towards the currency’s underlying blockchain technology, geopolitical instability created by Brexit and Trump, divine intervention, or any other mysterious stuff. The fact remains that Bitcoin is growing in popularity again, no matter what the cynics say! So, in the light of recent events, we thought it would be relevant to discuss Bitcoin wallets and take a quick look at several of the best Bitcoin wallet solutions in case you want to catch the wave and develop one of your own. So what’s a Bitcoin wallet? Roughly speaking, a Bitcoin wallet is like your bank account; but instead of allowing you to push around dollars and cents, Bitcoin wallets let you store and receive Bitcoins and send them to others. However, the range of actions you can perform with your Bitcoin wallet varies depending on its type. Let’s find out what these types are. A desktop Bitcoin wallet is a piece of software (a client-side app) installed on your computer that enables you to generate and keep private keys and Bitcoin addresses – for instance, separate addresses for business and private needs – and allows you to send and receive Bitcoin payments. 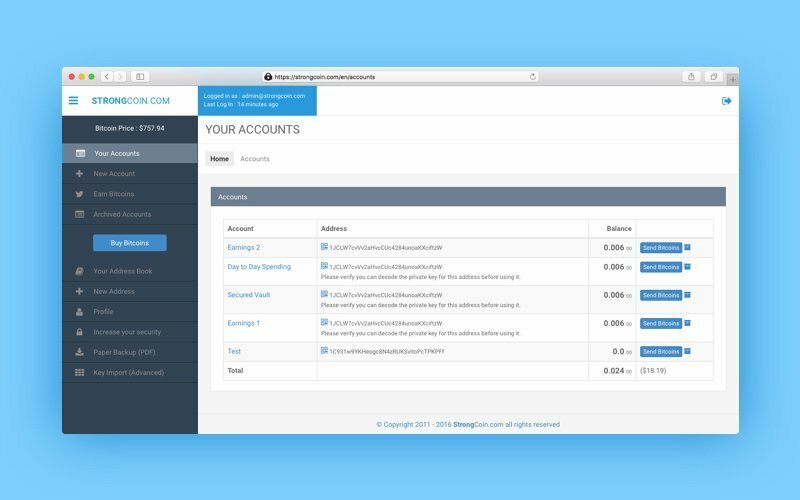 You can also check your balance and transaction history using a desktop wallet. Even though desktop wallets are a great option for storing and manipulating the virtual currency, making payments via a laptop (or an actual desktop) is not always convenient, especially when it comes to paying on the go. So Bitcoin users may want to consider something more portable – a mobile wallet solution, for example. Mobile Bitcoin wallet apps hold your Bitcoin addresses alongside their private keys and allow you to pay for things using your phone. Moreover, some mobile Bitcoin wallets can take advantage of near-field communication technologies, which makes it possible to make payments in brick-and-mortar stores or elsewhere by holding your smartphone in front of a card reader and without having to input any information. One common shortcoming of many mobile Bitcoin wallets, however, is that they aren’t full clients. Unlike desktop apps, which store the entire transaction log of the whole blockchain, mobile Bitcoin wallets are designed with simplified payment verification, meaning they download only the most recent portion of the transaction log and typically rely on other, trusted network nodes to ensure they have correct data. So even if your mobile wallet attempts an incorrect translation, the chain will detect it anyway. All data in your mobile Bitcoin wallet is kept in a dedicated wallet-file stored on your device, so if you lose this file, you lose your money. You might be surprised, but yes – paper Bitcoin wallets really exist. 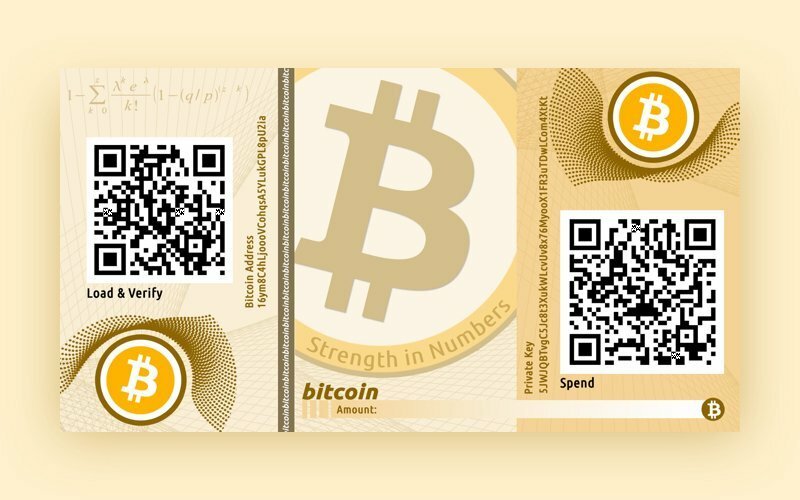 A paper Bitcoin wallet is a document with a generated public (Bitcoin) address and private keys, usually in the form of QR-codes, that you can use to send and receive Bitcoin payments. Because they are not stored anywhere digitally and therefore are not exposed to any potential hacking attack or hardware failure, proper paper wallets are thought to be the cheapest and safest way of storing Bitcoins. Such wallets can be easily stored in safes and deposit boxes. But the problem is it may be hard to securely back up – guarantee a copy of – such paper wallets if something bad or unexpected happens to the original. What’s more, if you lose your paper wallet, you’ll never get access to the Bitcoins sent to this address. There are also hardware-based Bitcoin wallets: dedicated portable devices designed to hold private keys electronically and carry out transactions. Examples of hardware wallets include Trezor, Ledger, Mycelium, and BitStash, and their prices range from $50 to $300. However, hardware wallets aren't very popular, and so there aren't too many models on the market. While paper wallets and hardware-based wallets are just perfect for storing your virtual money, you can’t always rely on them to perform any other actions with your Bitcoins – to trade, transfer, or exchange the currency. That’s where online and software Bitcoin wallets may come in handy. Let’s take a closer look at five of the brightest examples of web-based wallets that make trading, transferring, and exchanging Bitcoin possible. Mobi is a new Bitcoin wallet app developed by BTCChina, the world’s largest Bitcoin exchange, based in Shanghai, and is available on iOS and Android. So what makes Mobi so special? 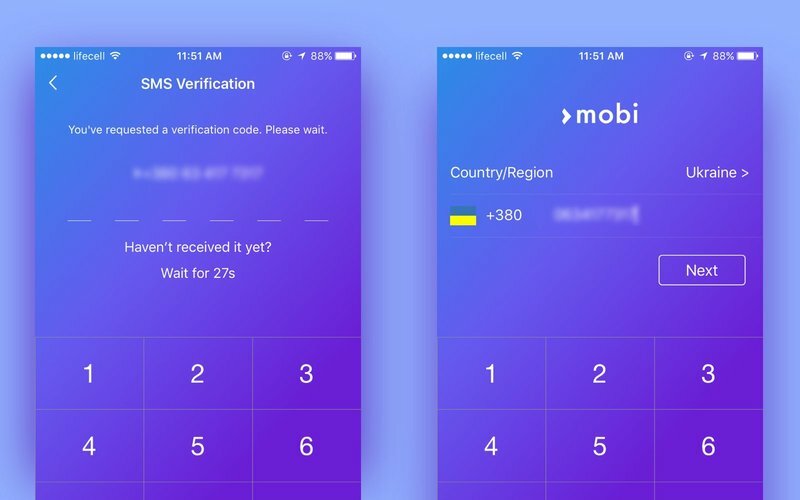 Mobi claims to be the first multi-currency mobile Bitcoin wallet capable of converting, storing, and transferring money with the support of over 100 currencies worldwide; these include the US dollar, the British Pound Sterling, the Euro, gold, silver, Bitcoin, and others. The app provides a quick phone number registration, so it only takes a few seconds to set up your Bitcoin wallet and start sending money in any currency to anyone anywhere in the world. Users can set up their wallet either before or after receiving their first Bitcoin. Mobi also allows receiving of Bitcoin via QR codes. All money transfers are carried out within Mobi’s own blockchain that tracks all user assets, but the app creators are planning to expand their service to support transfers on the public Bitcoin blockchain as well. When it comes to transaction costs, Mobi’s creators state that they don’t charge anything for transfers within their network. There’s a nominal fee when users convert their money, but the rates are much lower compared to other services such as banks, for example. The service also provides an optional debit card, linked to your Mobi account, that can be delivered right to your doorstep anywhere in the world for as little as $9. The card allows for cash withdrawals at over “2-million Visa-compatible ATMs around the world.” Moreover, using the card, users are able to make purchases at any point-of-sale device that accepts Visa. The nice thing about making payments with Mobi’s debit card is that the service will automatically convert from Bitcoin when you don’t have the necessary currency in your account. But what does it cost to have a Mobi debit card? Well, according to Mobi, there are no transactions fees whatsoever, but there is a small service fee of $2 a month and minimum transaction threshold of $2.50. Copay is a cross-platform Bitcoin wallet developed by Bitpay and available on iOS, Android, and Windows Phone. There are also desktop versions of Copay running on MacOS, Linux, and Windows. Copay is often mistaken for a Bitcoin service where your funds are held by a third party. This is wrong, however. With Copay, you have full control over your Bitcoin, so even Copay doesn’t have access to your funds. But what are Copay’s other notable features? Multi-signature functionality is what sets apart Copay from other Bitcoin apps. Multisig enables you to create a single Bitcoin wallet with multiple users or devices as signatories. ”How do I benefit from this?” you may ask. Well, it makes for better security. For example, you may choose up to five people to share a wallet with and require three of them to approve transactions; a thief would have to simultaneously attack several devices at once to access your funds, which makes the service less vulnerable to hacker schemes. Copay uses the full hierarchical-deterministic (HD) seeds technology that allows for secure in-app wallet generation and backup. Users can create and manage several separate Bitcoin wallets all within the same app. For example, you can have a business wallet to accept payments from your partners or employers and another one, let’s call it a savings wallet, for your personal funds. 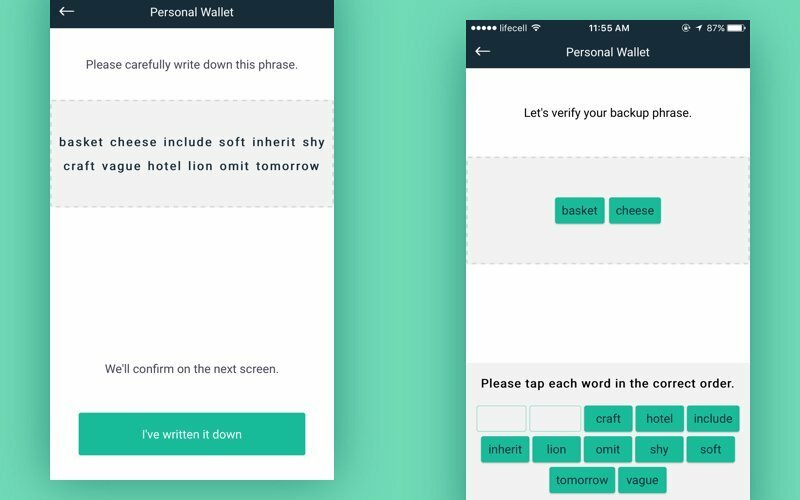 To back up your wallet, you’ll need to write a wallet seed, which is a 12-word phrase used as a very strong password (the app’s creators recommend that users write it down and store it in a safe place). You will then need to confirm your wallet seed on a screen that shows these words as clickable boxes that have to be tapped in the order they initially appeared. This way of seed confirmation is thought to be more secure, since it’s more resistant to mobile keystroke malware that may become an issue someday; plus, tapping on boxes is more convenient than typing words. Copay is the first service provider to bring native support for Bitcoin testnet to iOS and Windows Phone. Testnet enables developers to build and test new Bitcoin applications across different platforms. Together with multi-signature and multi-wallet features, Copay makes it possible for developers to “test and demo Bitcoin apps without fumbling between other mobile apps” – for instance, if you’re working on a standalone Bitcoin trading application and you need access to several wallets at once. The Copay app’s source code – both wallet and server parts – is open access, so anyone can review and improve it. Those who want to contribute to Copay may join the project on Github at bitpay/copay and bitpay/bitcore-wallet-service. Mycelium is yet another multi-wallet Bitcoin app that uses HD seeds technology to set up and back up your wallets. But there are also a number of cool features that make Mycelium stand out. A multi-wallet Bitcoin app that uses separate addresses for each transaction, Mycelium is just great when it comes to the safety of funds. But what if you want to pay anonymously? Mycelium solves this problem. The application allows you to route your data through the Tor network with the Orbit app. This way, nobody even knows that you’re using Bitcoins. What if you already have a paper Bitcoin wallet with lots of funds on it and now you want to keep those Bitcoins on your mobile device? No problem. You can either scan QR codes (i.e. private keys) right to your device or type a combination of 12 words manually and Mycelium will transfer all the coins from your paper wallet to one of your Mycelium wallets, or vice versa. If you can’t trust your phone to store all your treasure, you may want to consider using Mycelium in tandem with some hardware-based wallet. The application works with several popular hardware wallets such as Trazor and Ledger. To make a transfer, you need to connect a hardware wallet to your device, open the Mycelium app, and initiate the operation. The verification is performed on the hardware wallet side, so this way your private keys never leave your dedicated device and your phone works only as a mediator. The marketplace feature lets you find people who want to trade Bitcoins for cash near your location. With the marketplace, you can sell your coins at a great price and quickly convert your virtual savings into real money if needed. Xapo is a company that made its name by providing the world's first Bitcoin cold storage solution called the Xapo Vault. The vault keeps your savings offline and protects them from possible attack. What’s the Xapo Vault? It’s a network of offline servers and paper wallets scattered around the globe and “protected by biometric scanners, radio-wave blocking cages, and armed guards (gosh, sounds serious!). Recently, the company has started providing online wallet functionally as well. In 2014, Xapo launched its first mobile apps for iOS and Android. Let’s see what’s inside them. 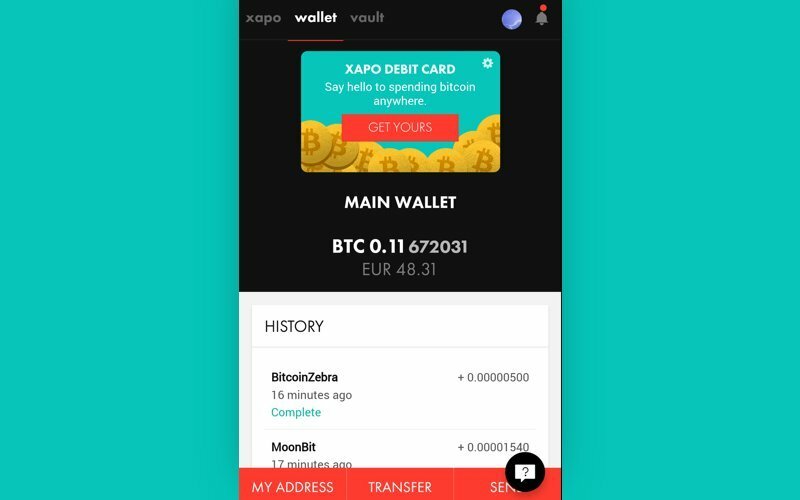 Using the Xapo app, you can move your Bitcoins from the Xapo Vault to your Xapo wallet. To enter your vault, you need to enter your password; you can also set up two-step authorization, which is recommended. Additional users can also be granted the access to your vault – to implement multi-signature functionality, for example. Users are also able to send payments via mail, QR code, or other vault addresses, check Bitcoin pricing in real time, send tips via Twitter, and manage their Xapo debit cards. As you might have already gathered, Xapo offers debit cards issued by Visa that come in three varieties: USD, Euro, and GBP. The Xapo card pulls Bitcoins directly from your online Xapo hot wallet and converts the currency into the required fiat so can pay for goods in dollars, euros, or pounds. All your expenses are logged and shown in the transaction history section of the app. The card has a $22 annual fee, but you won’t pay a penny during the first year of use. Ordering the card will cost you $20. Other information on the card’s fees and limitations can be found on Xapo’s official site. The acceptance of Bitcoins continues to grow; there are already a number of companies that accept Bitcoins as a payment method – Microsoft, Reddit, Expedia, Tesla, and Wikipedia among them. With this in mind, it’s quite possible that one day soon we may see Bitcoin’s influence extend much further than tech companies, so a Bitcoin wallets may be the next natural step in peer-to-peer payments. This article is a cheat sheet for those who see the opportunity in Bitcoin wallets and want to build one of their own.